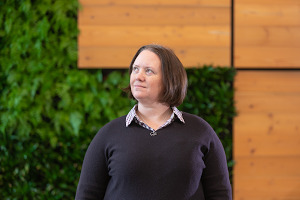 Editor’s Note: When you use a Google product, you might not realize that there’s an entire team of people who have carefully designed everything from the icons you see to the button that you click. 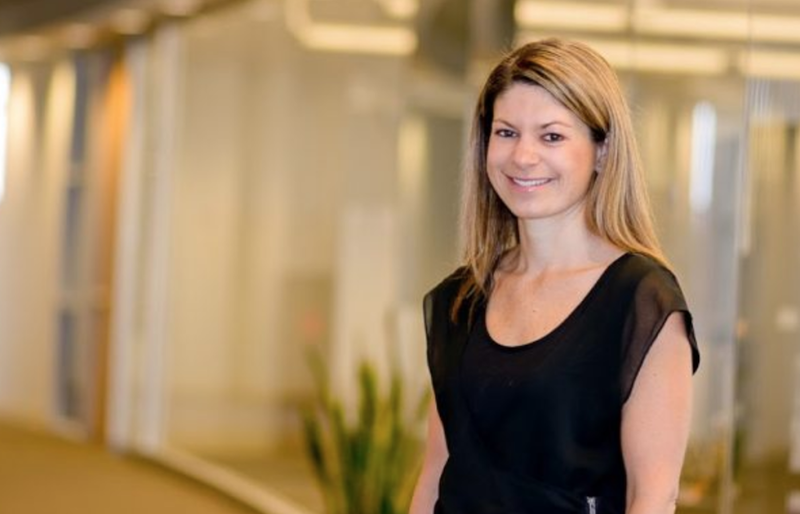 In our latest installment of the She Word—a Keyword series all about dynamic and creative women at Google—we talked to Catherine Courage, Vice President of User Experience (UX) who “puts herself in other people’s shoes” to design the best possible products for them. I lead a global user experience (UX) team comprised of designers, researchers, writers, and engineers. The role of UX is to listen to our users, and then design experiences that meet their needs. We design products for publishers and advertisers to grow their businesses, like local services, which helps small businesses connect with customers. We’re also behind the apps that you use to shop or book flights, like Google Trips. I entered UX through research—my job was to observe how people use a product, and figure out how the design of the product can better serve their needs. I focused on putting myself in other people’s shoes, and I carry that focus to my current job too. What’s something your team is working on that you’re excited about? We’re doing a lot of great work with machine learning. For example, AdSense (Google’s product that lets website owners earn money by showing ads), uses machine learning to learn about a site’s content and then suggest the best places to show ads that aren’t annoying and are more likely to be relevant. How has the role of designers changed over the past decade? A decade ago, design was associated primarily with beauty. But today it’s seen as a critical part of a successful business. Companies realize they need to attract and retain loyal users—people won’t stick around and use a poorly-designed site or app. These days, an established design team is as standard as a product management or engineering team. 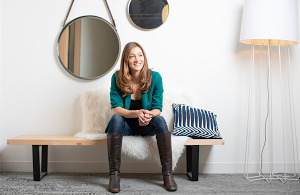 We’re seeing more founders, CEOs, or top executives with backgrounds in design. I’d like to bring more empathy to my leadership style. When you manage a global team of over 500, it’s easy to focus on the operations of the machine and lose sight of the amazing people who make it work. It’s important to spend time celebrating our achievements (before we go on to the next thing). Team wellness is a big priority, and part of wellness is pausing to acknowledge the people who make us successful. Have you read or watched anything remarkable lately? I was lucky to see Michelle Obama speak recently about how she’s committed to building a bench of future leaders. I was struck by her humility and authenticity—she makes you feel like she’s a close girlfriend. It was fun hearing her poke fun at Barack, reminding us that he’s a human being like the rest of us, imperfections and all. I love the outdoors and physical activity, and when I do more of those things, I’m better at my job. It allows me to clear my head and decompress. I often solve some of my toughest problems when I am out for a run or a ride. This year, I’m training to run the New York City marathon! 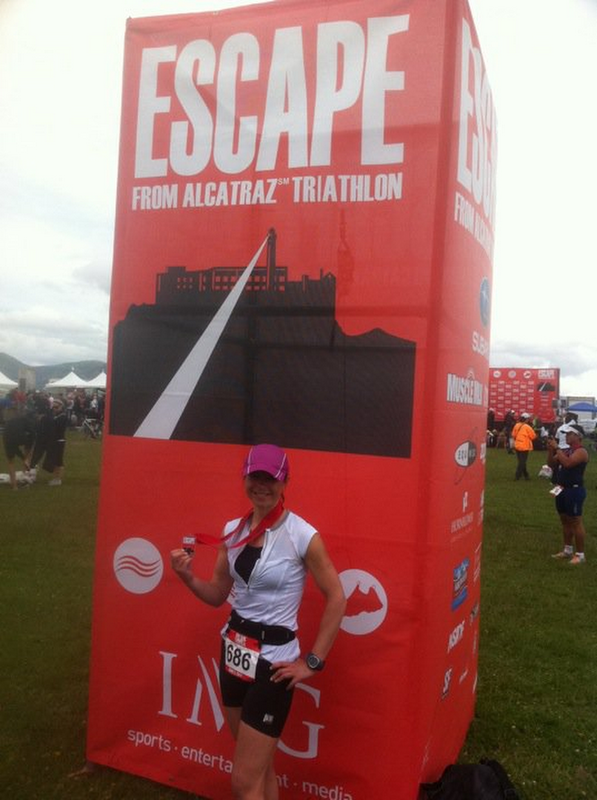 Here's Catherine at the "Escape from Alcatraz" triathlon in San Francisco. I listen, ask a lot of questions, and try not to make assumptions. I’m a strong believer in asking for help (even today as a senior executive). Often people see this as a weakness, but I see it as the reverse. People are flattered when you ask for their advice and perspective. Embrace fear, rather than letting it hold you back. I love the quote “Growth and comfort do not coexist.” The twinge of doubt is often a sign that you’re pushing to the next level. The potential rewards of taking a chance are tremendous, and far more significant than the fear and risk you may be feeling. 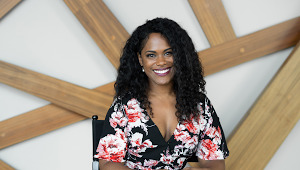 My mother–who completed her PhD while raising three children—and is one of four sisters, so I’ve been surrounded by female leaders since birth. I grew up believing I could do anything I wanted!